Thousands of Londoners face three days without broadband and home phone service, after thieves sliced through and stole BT Openreach fibre optic cables earlier this week. 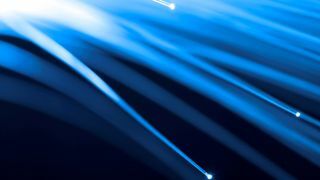 BT is blaming a 'malicious attack' for the outage, suggesting the robbers were seeking valuable copper materials from the exchange in Bedford, but came away only with relatively worthless fibre optic material. Regardless of the intent, an estimated 37,000 Sky customers are without service, while TalkTalk and some of BT's own customers have also been hit by the outage. Engineers have been working on a fix since the incident took place on Tuesday night, BT believes work will continue until at least Friday evening. The theft at the Bedford exchange, which was accessed via a manhole cover, seems to have had a knock-on effect around the Capital. Exchanges in Stamford Hill, Dartford, Ewell, Mitcham, Wimbledon, Hampstead, Battersea, Chiswick and Beulah Hill also affected, according to Sky, as BT scrambles to splice the cables back together. A Sky spokesperson added: "Following a malicious attack on Openreach's network, there's currently a broadband and phone outage in parts of London. Sky and other companies are affected. Openreach engineers are working to repair the network as a matter of urgency. We apologise to all affected customers." Fibre optic cables may be useless to half-witted vagabonds, but for us law-abiding internet users, they're pure cash money.